The Samsung Galaxy S10 could come with a great wireless charging feature that was premiered by Huawei in its Mate 20 Pro. A previous rumour suggested that Samsung might use the reverse wireless charging feature that the Mate 20 Pro offers and now new evidence has supported that. This comes from GSMArena which has managed to secure a photo of a Samsung demo booth item which shows the feature as one of the phone's special skills. Reverse wireless charging, on the Mate 20 Pro at least, allows you to charge one phone, or wireless device, from the smartphone itself using Qi charging. This isn't just a useful feature to be excited about but its inclusion should also mean the S10 will come with a huge battery and plenty of spare juice thanks to its efficiency – we'd hope. Although it might not use Qi, since Samsung doesn't usually support that version of wireless charging, the source claims. Other features seen on the leaked image include that in-display fingerprint reader, a cinematic display and, of course, that rear camera which should be a triple lens setup. 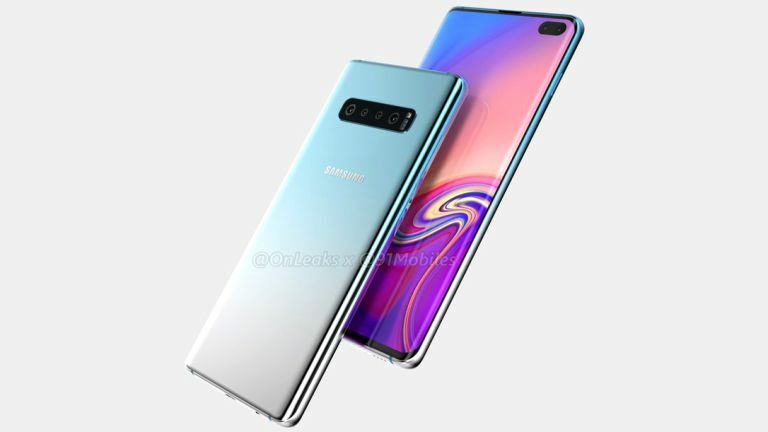 There is still a chance we'll see a quad camera, as leaked previously, since Samsung appears to be preparing to offer lots of variations of the S10. Samsung should launch the S10 alongside its foldable Galaxy X at an official event scheduled for February 20.